Your Business Is Not a Vampire…How To Slay Your Unhealthy Obsession With Success. Wake up, stretch, quick yawn, grab phone. Check emails, check Facebook engagement and interactions, check Instagram comments and new followers, check blog comments and views, check YouTube channel views. Or…this could be…Check Amazon/Ebay account, check daily sales, customer messages, etc. Regardless of your industry or business, obsession is something that has the power to affect all of us entrepreneurs. This is because we are constantly putting out fires. We spend our days and nights engaging and communicating, checking and finalising. We wake up in the morning, and our mind jumps straight to our business, and what our clients in different timezones might have posted during the night. We try to prevent problems before they happen, but we’re also first on site to deal with them when they inevitably do come up. We are the first and last port of call in all situations. We are everywhere, and anywhere we need to be. And we are so often exhausted, and emotionally drained. But at least our business is a success, right? More and more of us are falling into the Obsessive Entrepreneur Trap, something which is annihilating our ability to exist as real people, and actually ruining our businesses, slowly but surely. We are consumed by the success of our business, as if this success determines our own value as a person. Do you remember a time when you were trying really hard to study for an exam or test, but you were upset or angry about something? Do you recall how difficult it was to concentrate and focus, and to get whatever it was that you were trying to learn into your head? Now, imagine trying to run a business with all of those feelings, frustrations, and distractions going on in your head…Impossible, right? We become irritated and agitated. We are preoccupied ALL of the time, and can’t hold a conversation sometimes without getting distracted. We snap at people around us, and the worst part is, we don’t even notice most of the time. We have become robots on auto-pilot, and we are so naive that we believe we can keep this up forever, and that these unhealthy behavioural patterns will simply disappear when we’ve truly “made it”. What may have started out as a healthy drive to succeed, reach our goals and prove everyone around us that we could actually do this, has now turned into an unhealthy obsession which can actually push us towards failure, instead of success. A lot of entrepreneurs spend time googling things like “How to be more productive”, “How to get more done during the day”, and “How to be successful quickly”. We are focused on speed, but never sustainability, when we need to become focused on sustainability, and not just speed. We should spend this time on the internet finding ways to be successful and sane. To be fulfilled and achieve balance in our lives, so we can actually live. We don’t search for “how to work seven days a week, and never see my family“, but this is what the obsessed entrepreneur does. Is this you? If so, then keep reading. Most entrepreneurs will say they work towards success to provide for themselves and their families, to achieve financial freedom. But if every thought you have revolves around how to make more money, or cram more into your day, then what’s the point? What is it all for if you can never enjoy it? Don’t neglect your health and those you love for your business, because you want them to be there to share it with you when you achieve it. You want to be able to enjoy your success, don’t you? When you reach a goal, take some time to celebrate what you have achieved before moving on to the next goal. Spend some regular uninterrupted, technology free time with your family/friends, ideally outside in the fresh air! Speak to someone about what’s going on for you at the moment – this doesn’t have to be a business friend. In fact, sometimes it’s better if it’s not, as it reduces the temptation to just talk about business. Journal – try to figure out the real source of your agitation, anxiety and obsession. Are you afraid of failing, being judged, or being broke? What is it that makes you believe you can’t be successful without running yourself into the ground? Then you have something to work on, so get to work addressing this. I’ve talked before about how manifesting and visualisation (see https://mindsteinsystem.com/how-to-use-your-thoughts-to-get-what-you-want-from-your-life-without-having-to-become-a-jedi/) can help you to work towards where you want to be in your life. So, use this to allow the frustrations and disappointments to turn into drive and enthusiasm. Even just knowing within you that things will work out can create a healthier outlook on your business and life. You will come to understand that even if you don’t spend 23 hours a day working, you will still be successful. You just have to show up when it happens and take steps every day to get there. But, a step could be taking a day off to re-group, relax and enjoy yourself. This is the part we often leave out and forget. A good business can’t be created without work, but it must be done in a way which is sustainable, so that you can actually reap the benefits of your work, rather than burning out in the process, and spending your hard-earned money and time trying to get back to who you were before you started your business. Enjoy your business, and remember to enjoy your life in the process. How To Use Your Thoughts To Get What You Want From Your Life – Without Having to Become a Jedi. When I first read “The Art of Racing in the Rain” a couple of years ago, a book about an old dog called Enzo, and his owner Denny (two race-car driving enthusiasts), I thought it was going to be another Marley and Me (cue tissues). It turns out, that I was actually getting myself into a deep philosophical book on life, death, family, and all things in between, told through the eyes of a Golden Retriever. Pretty profound for a book about a dog, right? But here’s the thing – I genuinely believe if you could understand this quote, and take action on it, you would be taking leaps towards your goals, and where you deserve to be in your life. Let’s break this all down here, because I really want you to take something away from this! I’d also love to hear if this quote has spoken to you today. If it has, jump in to our free Facebook group below, and share what you’ve learned from it! You currently have approximately 100 billion neurons, interconnected by trillions of connections called synapses (that’s quite a few!). Some of these connections can send 1,000 signals every single second! This is how your thoughts are created. Have you ever stopped to think about that? This is a lot of activity going on in your head, and the interesting thing about this process is that we often assume we have no control over any of it. But, this is actually not the case! 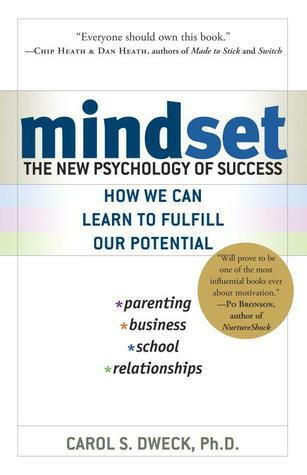 Many experts have found that choosing your mindset, can often mean choosing the outcome (One of my favourite books on this is called “Mindset” by Carol Dweck). If you get to choose the outcome, you can choose to move in a positive direction with more positive thoughts, which leads to achieving what you want to achieve. This knowledge that you can choose your direction in life is so, so empowering, and if you take one thing from this post, let it be that! I can say from personal experience, that when I take the time to really think about what I want, see myself achieving it, and thinking about the feelings I will have when I reach my goal, I am far more likely to actually achieve what I set out to do! Here’s a small example, but a big one for me! There’s me, doing my first ever Facebook live stream, feeling super nervous and excited at the same time! Before I turned on the camera, I sat down and thought about what I’d like to share with people, and what I felt would resonate with the people who were going to watch my video. I visualised people commenting saying how much they enjoyed the video, and that they learned or took something away from watching it. I allowed myself to feel the nerves of doing the video, worrying about what to say, and then feeling that relief wash over me, that I had gotten over my camera-shyness and appeared on a LIVE VIDEO!! So, when I actually began recording, it was almost like I had been there before. I knew I would be nervous, and I was. I had never done this before. But my nerves were controlled and were useful to me in terms of adrenaline and excitement, and when I finished, I knew I would feel relieved, and I did. When the video went out, it reached over 2,500 people in 24 hours, which was far more than the 50 people I had anticipated! I received messages and comments thanking me for my video, which a lot of people felt resonated with them. This was everything I had visualised, and more. But I had manifested this. This was no accident or stroke of luck. I had created this, through my own thoughts, through those billions of neurons and trillions of synapses, I had completed my first ever live stream and shared my message with lots of people! If all I had thought about was the nerves I would feel, and all the potential negative outcomes that could happen, I would probably never have done a live stream. If I had worked up the courage to do it, it probably would have been pretty awful, because I had essentially planned for that to be the outcome. Whatever you want in life, manifest it, and you will see it before you. Whether that is to do a Facebook live stream to promote your business or share a message, to do your first public speaking engagement, or to get out of bed in the morning after a long time of feeling down, unmotivated and isolated. It doesn’t matter, because the principle is the same. So often, we overcomplicate things with phrases like “it’s not that simple” and “I just can’t do that”, but simplify! Visualise all aspects of the scenario (ie. how you feel/look/think before, during and after the event) and what the desired outcome will be. Really feel this desired outcome as if it has already happened. Take Action. Take steps towards achieving whatever it is you are working towards, and trust in your visualisations. You have mentally prepared, and rehearsed. Now, just let things play out. Re-assess how things went, and look for ways to improve. Did your inner negative voice convince yourself that you couldn’t achieve x, y, or z before you started, and then felt surprised when you didn’t achieve it? Or, if everything went to plan, find ways to build on this in your business and personal life. Things aren’t always going to work out. There are lots of other circumstances which might get in the way of your visualisations and action-taking. But if you truly commit to this process, you will get there. It might take longer than expected, or you might need to go back to the drawing board at time, but visualise your success, and then take action on it, and it will happen. The problem is that most people will think about success, happiness, wealth, etc. but will never truly take action to achieve this. They are held back by limiting beliefs, traditions and stereotypes imposed on them by family and society, and they end up living a life they do not want. You build the road in front of you. If you want to go left, go left. But you have to lay the bricks in the right place. Don’t allow other people to choose the direction of your life. I will be posting more on Mindset and Visualisation inside the Facebook group and on our Facebook Page this week. To make sure you get a front row seat, join the Community now, and let us know your thoughts on this topic! So You’ve Never Had an Epiphany Moment Where You Knew You Had to Change your Life? How Your Mindset Can Shift in Small Subtle Ways Instead, and How this Makes all the Difference. Today’s post is going to be pretty short (well…relatively). It’s an important message, but one which doesn’t require too much explanation for you guys to catch my drift, and hopefully apply it to your own life. So, recently myself and my brother went out for a beautiful meal in a nearby restaurant with one of our amazing friends. Over the course of our dinner (which was delicious by the way! ), we talked about lots of things, from how business was going, to our own lives, and the future ahead. As we talked, our friend began to tell us about his own experience of being seriously unwell over the past number of years, and how this had brought about significant change in the way he views the world now. He had suffered from a serious illness, and was thankfully much better now! But, what was so honest and real about his situation was that he didn’t have a lightbulb moment where he just said f**k it and started living life to the full, like we always see in movies, with inspirational soundtracks and running through the rain to kiss your one true love, etc. He instead told us about the small, subtle changes which he didn’t even really notice at first, but which actually had the greatest impact. Once a month, he would have to travel down the country to attend meetings. This was a busy day for him – pack up the car, rush down to beat traffic and get to meetings on time. Once everything was done with the meetings, he would hurry back to the car, and head straight up home again, ending his day exhausted and mentally drained. Everything was a rush, and everything was tiring. However, all of this changed when he became ill, and afterwards he began making some small changes, almost without realising! He now found himself checking in for not one, but two nights at a local hotel, treating himself to a steak dinner, and making the trip home when he wanted to, not when he felt he should. This was a big shift from not even staying over for one night, and pushing himself to drive for hours in a hurry to get home. This initial behaviour didn’t serve him, and inevitably had consequences on how he was feeling on those days. As I said, he was pretty exhausted, fed up and would often feel unmotivated for a couple of days, after one of these long trips. The funny thing is, when our friend was rushing around, he wasn’t really rushing to be somewhere or to do something, he was just rushing for the sake of feeling busy, which I’m sure resonates with a lot of you here. We love to be able to say “Oh I’m just crazy busy!”, or “I haven’t got a minute today”, because we feel like we’re achieving things…But are we genuinely productive in the midst of all this panic and rush? I would argue that we’re not. Now, he was able to slow down, and enjoy the moments he typically spent hurrying from Point A to Point B. Imagine the change this brought about in the way he felt about his day. The way he felt about himself. He now valued his health and happiness on a much higher level. This was something he didn’t even consciously decide, but it was something that naturally happened as a result of all that had presented itself in his life. So, how does this apply to you and your business? If you spend every day in a hurry to get to the next thing, to complete the next task, to reach the next goal, take a minute to slow down. I understand that you’re busy and that today’s world doesn’t really like waiting around for answers, but will rushing really get you there any faster, in the grand scheme of things? Or will it lead you towards unhappiness, a lack of fulfilment and an unsustainable lifestyle? This is not what I want for you, and I’m sure it’s not what you want, either! If you’re reading this, how you live your life now, and in the future is obviously important to you, and it’s awesome that you value yourself enough to think ahead, as actually, a lot of people don’t. Making these small subtle changes can lead to incredible results. Taking some time to go for a walk on the beach with your family during the week or a 20 minute break to do some colouring (yeah, they have colouring books for adults now and they’re seriously relaxing! ), is not something which will cause massive damage to your business. You can make these micro-decisions, which can have an amazing influence on your daily wellbeing, so choose to make these changes, and choose sustainability over burning out, every time. If you want some more tips on cultivating an incredible business and personal life, you can check out our free group, for live streams, insights, and loads more! Follow the link below to get started, and introduce yourself!